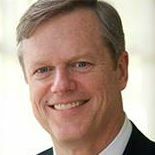 Photo from Charlie Baker’s Facebook page. On January 8, 2015, Charlie Baker and Karyn Polito will be sworn in as the next governor and lieutenant governor of the commonwealth. To prepare, Baker has been assembling a transition team to review the state’s public policy needs. So it’s a great time for early educators, program leaders, advocates and parents to talk to this emerging mix of bi-partisan leaders about the importance of high-quality preschool programs and early literacy. Polito, a former state representative, will chair the transition team. And Jim Peyser will lead the transition team. Peyser served as the former chairman of the Massachusetts Board of Education and as a special adviser to Governor William Weld. Jay Ash, “a Democrat who is Chelsea’s city manager and slated to be Baker’s housing and economic development chief,” according to the State House News. Voters are already speaking up. Boston Globe reporters solicited feedback for Baker that covers transportation, unemployment, and charter schools. So please join in and let Baker and his team know how important high-quality early education and care programs are for children and for the future prosperity of Massachusetts.